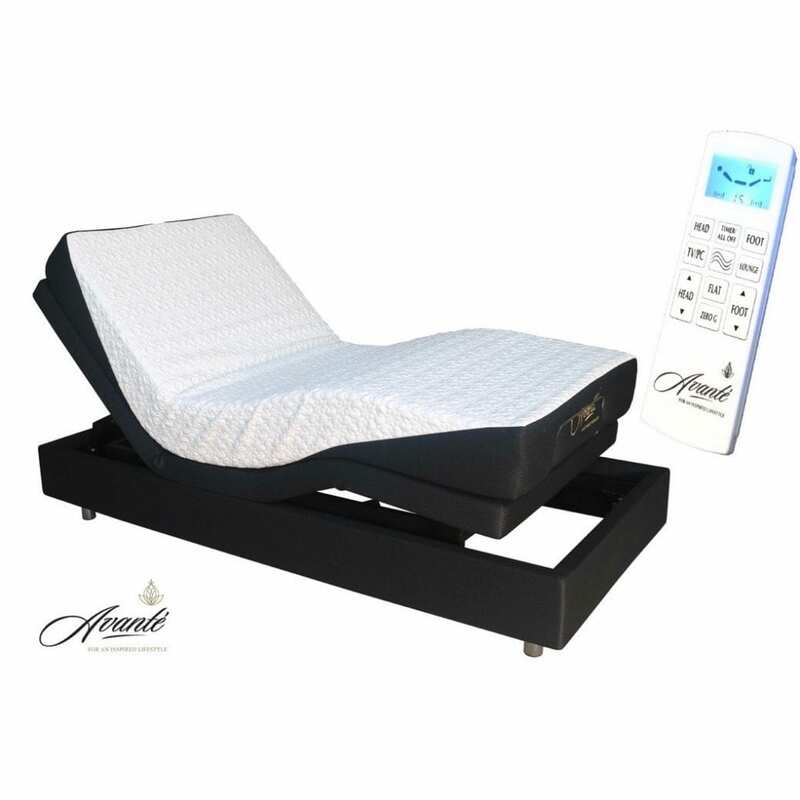 The Avante Smart Flex 2 adjustable bed has a luxurious adjustable base, operated via a wireless hand control with individual head and foot adjustability as well as presets for thee different comfort positions, finished off with a 3 Speed massage unit. 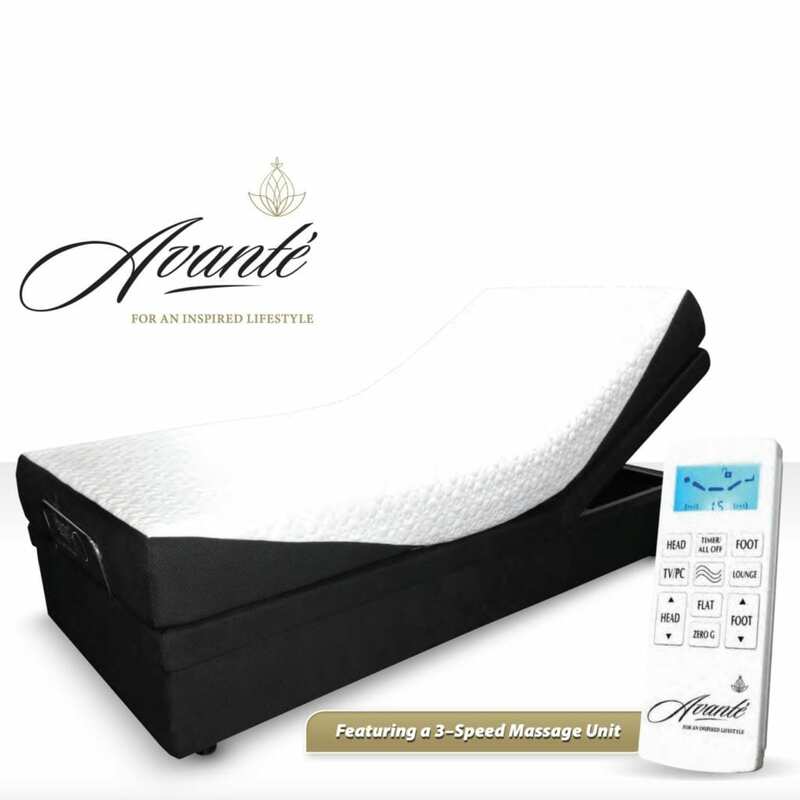 The SmartFlex technology allows consumers to enjoy the benefits of independent head and foot which means that you can control the head of the bed separately from the foot of the bed. Extra technology includes the “Wall Align Technology” feature and the important Zero Gravity feature which replicates the position astronaut’s use during launches. This position distributes pressure evenly across the body and provides a feeling of weightlessness and calming throughout your body. Bought this bed as a weekend bed for my ill mother when she visits. Was nervous as she has a different bed at home. On her first visit she indicated that she had a great night’s rest and the bed is perfect. The wireless remote is an added bonus. Structure wise of top quality. Highly recommended.